“I’m not perfect, just forgiven.” “I’m not holier than thou, I’m just a sinner saved by grace.” Something has gone terribly wrong with our thinking if we believe that the only difference between a believer and a non-believer is that the believer is forgiven and assured of eternal life. That’s a useless, selfish, hypocritical religious idea which deserves a slap in the face. It’s not worthy of the name “Christian,” the name of Messiah, and it sullies the reputation of our holy Master. Hebrews 10:18-31 contains a stern warning and exhortation to the upward call of discipleship and the demands of new-covenant living. This doesn’t have anything to do with the topic, but I listened to Lancaster’s sermon with my laptop in my sukkah a few afternoons ago. Yes, WiFi is great. Lancaster says it’s important to realize that the writer of the Epistle to the Hebrews is speaking figuratively, not literally. These verses aren’t permission for just plain ol’ folks, Jews or otherwise, to go “tramping” through the Holy of Holies. Even Jesus couldn’t enter the Holy of Holies of the earthly Temple in Jerusalem (before or after his death and resurrection) because he is not an Aaronic priest. These verses are to indicate that we have access to God through the Heavenly Temple and our Heavenly High Priest, who is indeed Yeshua. We can draw near by appealing to our High Priest, our mediator of the New Covenant. 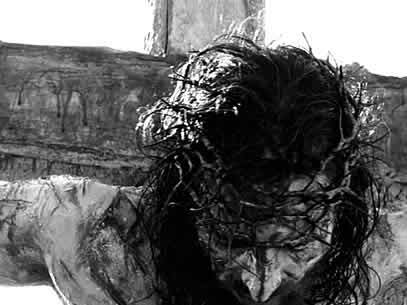 The veil is symbolic of his flesh, as the verses above tell us. Also, to “draw near” is technical language for bringing a sacrifice. When a person, usually Jewish but Gentiles could do so as well, desired an encounter with God in the days of the Temple, they could bring a sacrifice, a korban, to the Temple and indeed, physically, literally, draw near to the Divine Presence. The readers of this letter are, according to Lancaster, Greek-speaking Jews living in or near Jerusalem, disciples of Yeshua who have been denied access to the Temple. The Hebrews letter writer is trying to reassure them that if they cannot draw near to God in the earthly Temple, they can still do so through their faith in the Heavenly High Priest who presides over the Heavenly Temple. But this has applications for us as well. After all, there is no Temple in Jerusalem today, so even if we desired with all our heart to draw near to the Divine Presence, it is impossible to do so. But Lancaster says that we are designed to desire closeness with God. How can we do this? We have the blessings of the New Covenant, but the New Covenant promises have yet to arrive. How do we summon the future into the present? The writer of Hebrews is speaking about all this in the present tense. We, and the letter’s original readers, are supposed to be transforming into “Kingdom people” right now. That’s how we “draw near”. For I will take you from the nations, gather you from all the lands and bring you into your own land. Then I will sprinkle clean water on you, and you will be clean; I will cleanse you from all your filthiness and from all your idols. Moreover, I will give you a new heart and put a new spirit within you; and I will remove the heart of stone from your flesh and give you a heart of flesh. 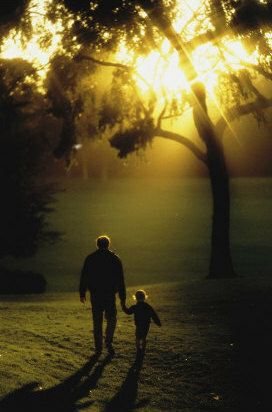 I will put My Spirit within you and cause you to walk in My statutes, and you will be careful to observe My ordinances. The writer of Hebrews could well have been thinking about Ezekiel 36 when he wrote about “hearts sprinkled clean” and “bodies watched with pure water” which is also part of the Yom Kippur service. But the exile hasn’t ended, the Jews have not be regathered, and no, we do not yet have a new heart and a new spirit. That’s for the future. But as people of faith, we are responsible to live as if the New Covenant age is already here, even though our current world is still full of sin. We must live a transformed or at least a transforming life, rather than a life just like everybody else. Lancaster calls us tokens of the future in the present world. We are ambassadors of the Messianic future, and that should show in our lives; we should live supernatural lives. At the very top of this blog post, I inserted a quote that introduces today’s sermon. Lancaster considers it insulting that Christians cheapen themselves by saying they’re (we’re) just like everyone else, only forgiven, as if we live lives identical to our secular counterparts and the only distinction between them and us is that we are forgiven because we believe in Jesus. Sure, we’re not perfect, but we should be living lives Holy and specifically distinct from our secular neighbors. Just as the readers of this letter were tempted to waver and even to renounce their faith for the sake of possibly regaining access to the Jerusalem Temple (verse 23), believers today waver from their faith and live watered down lives rather than pursuing a closer encounter with God. Next, Lancaster touched on a subject that has been on my mind lately. … and let us consider how to stimulate one another to love and good deeds, not forsaking our own assembling together, as is the habit of some, but encouraging one another; and all the more as you see the day drawing near. Why is the letter writer saying this? 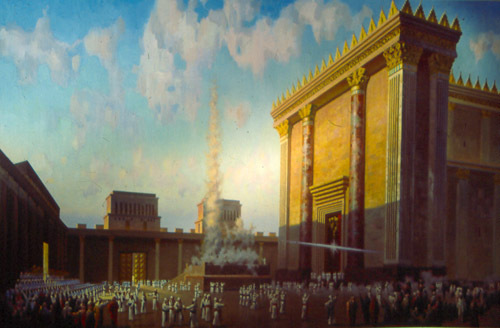 In Jerusalem, the faithful among the Jews met daily at the Temple for the prayers. 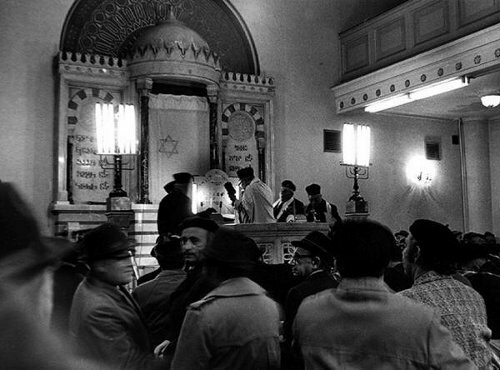 As far as we know, they had no other meeting place, no “Messianic synagogue” as it were. Why do we worship together? Is the letter writer even issuing a directive that we can generalize to us, to me today? People meet to sing, worship, pray, study, listen to sermons, but most or all of that could be done at home. Lancaster says the Hebrews letter specifies the more important reasons. To encourage one another in our faith and confession. To build each other up. To apply positive peer pressure to live more Godly lives. It’s sociology, not theology. In my current situation, my most likely options for further fellowship are in the virtual, that is, the online realm, but I don’t know how well that works if verses 24 and 25 are the key reasons for congregational connectedness. For if we go on sinning willfully after receiving the knowledge of the truth, there no longer remains a sacrifice for sins, but a terrifying expectation of judgment and the fury of a fire which will consume the adversaries. Lancaster calls these verses the “smack down” of this chapter. Once we become believers, there’s no turning back. Either we commit wholeheartedly to living a transformed life and continually becoming perfected in our faith, or we join the enemies of God in harsh judgment and its consequences. This reminded me of how even among different churches and synagogues, people are dancing on both sides of some serious social topics in an attempt to be people of faith and yet fit in with the rest of the world and what the world (though not necessarily God) thinks is important and right. If you are living a Holy life, your life should not be in synch with the popular and progressive imperatives of our secular society (and political affiliation is beside the point). Anyone who has set aside the Law of Moses dies without mercy on the testimony of two or three witnesses. How much severer punishment do you think he will deserve who has trampled under foot the Son of God, and has regarded as unclean the blood of the covenant by which he was sanctified, and has insulted the Spirit of grace? For we know Him who said, “Vengeance is Mine, I will repay.” And again, “The Lord will judge His people.” It is a terrifying thing to fall into the hands of the living God. This is still in the present tense and remember the writer and readers of this letter are all Jewish. The letter writer is impressing upon his audience, using a lighter to heavier argument (we’ve seen this before), that if setting aside the Torah can result in a death sentence, how much more serious is it to trample underfoot the Son of God. Yes, it’s serious for a Jew to violate the Shabbat but it’s even more serious to consider the righteous and Holy sacrifice of Messiah as unclean and common. This is a stern warning that even under extreme provocation, the consequences of abandoning faith in Messiah are terrifying. You know that He appeared in order to take away sins; and in Him there is no sin. No one who abides in Him sins; no one who sins has seen Him or knows Him. This makes it sound like we should never, ever sin, not even once after we become believers, but what the apostle is saying is that we should continually strive to become more spiritually perfected, not that we’ll ever be perfect this side of the resurrection, but that we shouldn’t just put up with a certain level of sinning in our lives as if it is inevitable. Even Paul said he hadn’t obtained perfection but it was a goal he always moved toward, he pressed on, even though he hadn’t yet put his hands on it. That’s what we’re supposed to do. For Lancaster, this is a key statement. We need to keep striving to live by the standard that we are pursuing, the standard of a Holy and righteous life, to live, not natural lives as the rest of the world does, but supernatural lives. This is how we draw nearer to God and draw the Messianic Age nearer to our present reality. The tombs were opened, and many bodies of the holy ones who had fallen asleep were raised; and coming out of the tombs after His resurrection they entered the holy city and appeared to many. I had noted each of these events separately, but putting them together relative to the New Covenant gives them a lot more meaning than just a series of supernatural events related to the death of Jesus. This moment in time formally set into motion the beginning of the entry of the New Covenant into our world and these events were part of the evidence. But that was almost two-thousand years ago and most people in the world today don’t even think of the Bible as evidence of anything real and applicable to their lives. That’s why they have us. Lancaster said that we have to make a difference and we do that by adhering to a standard set before us by God, a standard to live lives of Holiness and excellence, as if the New Covenant were already here, as if we had already been resurrected, as if our hearts of stone had already been replaced by hearts of flesh and we were filled with the Holy Spirit to such abundance that we all “know God” in a manner greater than all the prophets of old. Imagining myself living a “supernatural life” isn’t always an easy thing for me. I can’t picture myself “checking my brain at the door,” so to speak, and just relying upon my feelings as the means by which I draw nearer to God. I know that isn’t what Lancaster (or those few others in my life who encourage me to also be more “supernatural”) is saying, but it feels like what he’s (they’re) saying. I think what he’s actually saying is that we can live better lives behaviorally, and we can be better people than we think we are. If we tried to be better just by force of will, we might make some temporary achievements, but most of us would fall back into our usual flight patterns after a while. Our natural methods wouldn’t work out in the long run. Only the supernatural methods, by faith, by continually striving for an authentic encounter with God, will grant us access to transforming and perfecting our lives, little by little, bit by bit, until the evidence of God is undeniably visible in everything we do. Then we will be the evidence that God is real and that His promises are true. They will happen because they’re happening now, through us. By far this has been one of my many, and Yes I have any issues with Church today. My family and I were attending a church that included maybe 45 people on a good Sunday. Recently though we switched to a HUGELY attended church (I loath the term Mega church, but that what it is) only for programs for our kids. I see it over and over, the idea that the only difference between me and my Buddhist neighbors are that we “have Christ”. I have to say, most Christians live a pretty secular life, with no distinctive to say, I’m different. I was just asking my wife what’s different about us and them? She said we are Christian, I asked and what DOES that look like? I think back to my years in Judaism, (lomg story) there was a difference between me and the world. We had traditions, we had faith acts that separated us spiritually. Now I’m not hiding, far be for me, as Paul says I’m the chief of sinners, but we have lost something along the way. The “pop Christianity” we have today doesn’t do what we read in the Brit Chadasha justice. Christianity has been distilled down to nifty catch phrases and worship songs that are more about me and MY love for God instead of songs about the majesty of the Holy One. This getting struck a cord in me James. Actually, I’m glad it struck a chord in you, Tony. I think when Lancaster delivered his sermon and had the recording put online, he was hoping it would affect a lot of believers, perhaps shaking them (us) out of apathy. James, I agree! When we get to the level in our faith where we think the only difference between myself and the non-believer is Jesus,we need to reassess. Right actions, come from right thinking. Do I believe I am holier then my non-beleiving gentile neighbor?Yes, but only because of the Master. But we are holier, we are set apart for good works in Messiah! The Church is filled with all sorts of pop theology, and watered down views on set aparted-ness. I just finished Lancaster’s sermon….bravo for him! Yehoshua’s righteousness becomes ours by trusting in His righteousness, and thus His redemption of us in Him, but Yehoshua was the first to ask us to obey G-d.
Our Salvation is by faith, but as James put it, “Faith without works is death.” And most “Churchianists” who claim salvation will be badly surprised when they find out that Yehoshua rejects those who walk in disobedience. The deposit of the earnest in Believers of the Ruach haKodesh is what leads us into obedience, as we have a connection outside of the Written Torah to counsel and tutor us…if we pay attention. Most people do not. Questor, my only issue with your comment, is the use of Yehoshua. Not to be nit picky, but the correct Hebrew is Yeshua ישוע, not Joshua. There were many Yeshua’s in the 1st and second century. Other then that, our holiness is from Him. Questor, upon further reading of your comment. I think you missues the point. Neither Lancaster, nor James, nor I are putting down the Church. God has used the Church is wonderful ways, and the Church is God’s ordained path for Gentiles. To use words like“Churchianists” is defamatory. The Torah is for the Jewish people, not for the Church. Gentiles can touch, taste, and explore Torah and Judaism, but not take as their own. Do I think the Church will be judged and somehow condemned for not following the commands contained in Torah? Emphatically no. Yehoshua is the Hebrew name, which I prefer, and Yehoshua was far more used in the Gallilee, where Yehoshua was born, than it was in Judea, where the Aramaic version, Yeshua, was and is more commonly used. All names are accurate, and interchangable, and both Yehohsua and Yeshua are in the Hebrew Scriptures. I have no objection to the Greek Iesous Christos, or the transliteration of it into English via Greek and Latin as Jesus Christ. As for using the word ‘Churchianist’, I was being descriptive, not defamatory, accurately describing what a great many of the Churches in America have become. There are indeed true Christian Believers in many of those Churches, with a spiritual walk producing much fruit. The majority of Churchians however are not being well taught, and thus bear no fruit, and to me do not warrant the term Christian. Those true Christians that I know are having a hard time suffering through the sour milk taught from many pulpits, and are beginning to study the word at home in order to have a good diet of meat. 23 Then to everyone he said, “If anyone wants to come after me, let him say ‘No’ to himself, take up his execution-stake daily and keep following me. Salvation is by faith through Grace in Yehoshua, as you say, but without immersion, and the falling of the Ruach haKodesh, ‘Churchians’ will be walking in the same error they are taught, as mental assent to belief in Yehohsua is not the trust and obedience to G-d that produces fruit. Can one be saved by faith alone in Yehohsua…of course. Obedience to Torah is a gift of Love to YHVH, not a requirement, although I look at the following passage and wonder why Christians avoid the commandments of G-d.
@Questor — Actually, Tony is quite correct to insist on the name Yeshua rather than Yehoshua. You see, while Yeshua is a more Aramaic form of the same name, Aramaic was more commonly used in the Galil whence came his parents. You’ve got it reversed to say that Judea used Aramaic more. It is more suitable also to the Hebrew description of his destiny as announced by the angelic visitor who confronted his mother-to-be Miriam. Yeshua was named in Jewish fashion by means of a play on words regarding his projected destiny, i.e., that “he will save his people from their transgressions” (viz: Matt.1:21). In Hebrew, “וקראת את שמו ישוע כי הוא יושיע את עמו מעונותיהם…”, the key words in play are Yeshua (or “yeshu’ah”), meaning “salvation” (or rescue), and “yoshi’a”, meaning “he will save” (or rescue). His name is thus spelled with the shortened Aramaic spelling that we see in the Tenakh for Yehoshua bin Nun (Joshua, son of Nun), as represented in Neh.8:17, because only this shortened form supports the play on words employed in the angelic announcement cited by Matthew. I presume you will accept that the angel presented Yeshua’s name correctly in this “birth announcement”. I don’t agree “the Church is God’s ordained path for Gentiles,” Tony — but it seems to be an approved path for gentiles (and some or any non-gentiles); and church can do and has led to some wonderful things. I think it’s pretty obvious, that’s looking on the bright side. I will yield to those who prefer Yeshua to Yehoshua. I have no doubt that Gabriel was accurate in his word play. I use Yehoshua since the Hebraic Scriptures use both, and I prefer Yehoshua to Yeshua when writing, though verbally, I go back and forth. Classical Biblical Hebrew Yehoshua [jəhoˈʃuaʕ] (top two) and Late Biblical Hebrew Yeshua [jeˈʃuaʕ] (bottom). This later form developed within Hebrew (not Aramaic). All three spelling variants occur in the Hebrew Bible, including when referring to the same person. During the Second Temple Period, Jews of Galilee tended to preserve the traditional spelling, keeping the letter for the [o] in the first syllable, even adding another letter for the [u] in the second syllable. However, Jews of Jerusalem tended to spell the name as they pronounced it, [jeˈʃuaʕ], contracting the spelling to ישוע without the [o] letter. Later, Aramaic references to the Hebrew Bible adopted the contracted phonetic form of this Hebrew name as an Aramaic name. Actually, if I were to choose, I would like Y’shua, which avoids the difficulties, and can be pronounced either way, but it isn’t used in any of the Scriptures. Well, “Q”, I don’t really see a lot of advantage in eliding the “e” with an apostrophe to produce “Y’shua” rather then “Yeshua”, since the “e” effectively becomes a schwa in the English pronunciation when the accent is placed properly onto the second syllable. So this is primarily a stylistic difference relating entirely to the methods or system used for transliteration. As for the claim that this form developed in Hebrew rather than Aramaic and was adopted later into Aramaic, I can’t argue because the reference in the Tenakh, by Ne’hemyah, is to an immediately post-exilic readership, some of whom had not yet returned to Judea, so their speech was still strongly influenced by a Jewish form of Aramaic if not actually still Judeo-Aramaic. Remember that Joshua’s name was originally “Hoshia”; and it was Moshe Rabbeinu who added the “godliness prefix” to his name to produce “Yah-hoshia” or Yehoshua (note the fungible “yud” that elongates and shifts to “vav” in the combined name). The actual pronunciation almost certainly elided what we might view as the first and second syllables “Ye” and “ho”, rendering the name as “Yo-shua”, from which it is not at all difficult to envision the phonetic process over centuries which would swallow the “o” into a “sh’va-na” that would tend to cause the name to be written phonetically as “Y’shua” rather than more formally as “Yehoshua”. This is beginning to sound a little like the old “sacred name” argument and the associated movement who believed God only listened if you pronounced the Tetragrammaton. No, I’m not against referring to Messiah by his proper name, but I think it’s important to remember that for many long centuries reaching back into the early years of the Gentile Christian movement, most, if not all believers, pronounced his name “Gee-sus”. Even today, many people resist using “Yeshua” because they don’t think it’s his “real” name. I won’t go into the details of the relative merits of the Church, but I do know a lot of good Christians who live out lives in accordance to his teachings to the best they understand them, such as giving to charity, providing food to the hungry, visiting the sick, and performing many other kind deeds. The only name they know is “Jesus,” and yet somehow, I don’t think they’ll be judged for not saying “Yeshua”instead. @James — I really don’t believe that either Questor or Tony was going in the direction of the “sacred name” heresy, while trying to clarify the most accurate rendition of the Messiah’s name which best reflects his context. However, I can see where some concern of that nature might arise from the citation of Mt.7:21-23, where there is often misunderstanding about what it means in Hebrew idiom to do something in someone’s “name”. It is important in passages like this to understand that this idiomatic phrase means “to do something for the purposes represented by the referenced individual or entity”, regardless of any considerations about pronunciation or variation of the reference label. It has nothing to do with “saying the magic word” precisely in order to be recognized by the referenced authority. It has everything to do with what Torah would qualify as proper behavior which depends on proper attitudes. I was a little perplexed by another statement from Questor, that otherwise I would have ignored, that “… Yehoshua was the first to ask us to obey G-d”. I must have missed some context by which he meant to qualify that statement — which otherwise is patently false on its face — because obedience to HaShem is fundamental to conformity with the Torah covenant, which was acclaimed by Israel upon accepting that covenant long before Rav Yeshua ever appeared or said anything; and obviously HaShem instructed Adam in the Garden to obey His command regarding the fruit of that one tree. @ James, very spot on observations. I think I used the wrong phrasing…Yehoshua/Yeshua/Iesous/Jesus would always be first in telling us to obey G-d.
As for Sacred Names…certainly I passed through their writings at one time, and researched it, but as I said, I use all versions in speech, even in the same conversation, just so everyone I am speaking to knows I am talking about Mashiach…regardless of which language is used for His name. @Questor — So your intention in using the word “first” was to suggest primacy or a reflection of his highest priority. Thank you, that makes a bit more sense of the statement I found perplexing. @PL and Questor: Sometimes people can get a little too hung up on proper names when the reality is, all the different peoples speak the name of Messiah in their own languages and I don’t consider that a problem. I realize no one was participating in heresy and apologize if I implied otherwise. I’m also fine with Jesu in French, and Issa in Arabic as well…if I knew Yeshua’s name in more languages, I’d probably use them…not that I know any languages well but English, and I am confusing enough to my friends as it is! Well, James, you started out this essay with the notion of people wanting to get closer to G-d, even wanting to enter the “Holy of Holies”. One of the significant discoveries by explorers of the modern notion of MJ was the degree in which language could distort or clarify the reality perceived in the scriptures. Of course, this is not an entirely new discovery in human experience, but it was a new experience at that time in this context. Certainly the use of non-Jewish terminology by early Christians who were trying to distance themselves from Jewish particularism in favor of some notion of universalism succeeded; and it has kept subsequent generations of Christians at a distance from a true understanding and a depth of understanding of who the Messiah really is and what are HaShem’s actual expectations. I suggest that it is for this reason that so many gentiles sought out participation in the budding MJ movement, and is possibly in some degree the psychology behind the prophesy about those of the nations grabbing Jewish tzitzit to request to come along closer to where HaShem abides. Hence, speaking the name of the Messiah, or of HaShem, in a non-Jewish language can be truly a problem. As it is said, something is lost in translation. Sometimes the problem is exacerbated by doctrinal distortions, even to the extent of creating a fictional alternative character in place of the original. A negative judgment may rightly fall upon those who create(d) such distortions, and because of the consequences thus laid upon innocents who have been taught wrongly to continue the distortions unaware. The effort of learning at least enough of the Hebrew language to appreciate the original names has a positive effect on the resolution of that age-old problem of “distance”. It acknowledges that distance and establishes a vector of rapprochement. It challenges what was thought to have been known and opens a door of investigation and learning. An essential tool of clear thinking is to call things by their rightful names. In this case these names invoke also an entire cultural context that is foundational to proper understanding of the subjects. But, of course, you know all that or you wouldn’t be blogging the topics that have characterized this blog for years.